In conjunction with our long standing trading partner, SDE/SME Pty Ltd, we can offer a large range of ‘off the shelf’ submersible motor and pump combinations, both hydraulic and water pumps systems. Ranging from 1kW to 400kW / 110V to 6kV. We can also offer bespoke designed ‘special’ motors to meet your specific requirements. Every motor in our catalog was a ‘special’ at some stage. Our motor customers include ROV operators, Subsea fisheries, subsea dredging companies, subsea telecoms companies, subsea tidal energy, manned submarines operators, power station operators & irrigation depts. We can offer a consulting service to assist you with choosing the right solutions, solving existing problems or upgrading existing equipment. We can also offer a repair, rewind and service facility in UK, Australia & Singapore for motors up to 6000V / 500kW. Our High Temperature Submersibles in 6″ to 20″ frames are designed with integral cooling systems for use in high ambient temperature conditions up to 75° C. These are particularly suitable for trenching systems in turbid water conditions or slow moving vehicles. A temperature monitoring unit is also available to enable operators to closely monitor motor temperature in use. Again particularly useful for the larger scale trenching & pumping systems. Motor voltage upgrades are also available to 3000VAC, 3300VAC, 4160VAC & 6000VAC. Enabling more power from the same size motor. 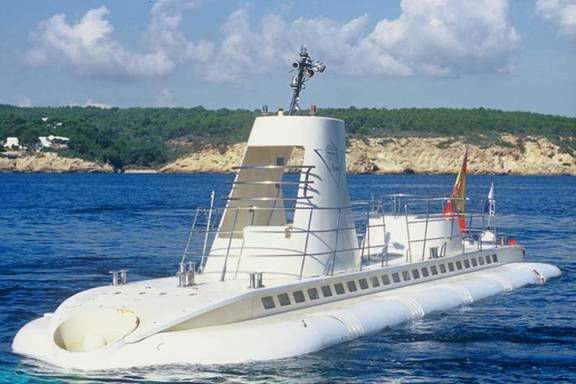 All of our motors are pressure compensated and suitable for full ocean depth use. Available in Aluminium T6061 or SS316 stainless steel. All motors are fully dyno tested prior to dispatch from the factory. SDE/SDE/SME Motor Pump Combinations for ROVs, Trenchers & Ploughs. SDE / Submersible Motor Engineering can supply our own Pump/Motor combination. We offer a 2- pole, or 4-pole motor coupled to our own designed pump (especially designed for trenching applications). With a full ocean depth rating, this pump and motor combination is rigorously tested in our factory to full performance before dispatch. 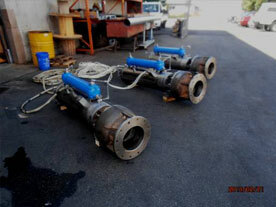 SDE/SDE/SME ROV14-4, 185kW 250H, 4 Pole, 4160/3/60, SS316 Construction Subsea Motor; close coupled to SDE/SME SS316 Construction/NAB Impeller Water Pump to produce 390m3/hr at 16 Bar. SDE/SME ROV14, 150 KW, 3000V, 60HZ, 2 Poles, 3500 RPM, SS316 or Aluminium T6061 construction motor. Comes with: Burton power connector. Subconn Sensor Connector: can be coupled with a Pleuger water pump or comparable water pump either close coupled or spyder coupled. SDE/SME ROV14-2, 200HP 150kW, 2 pole, 3000/3/60, SS316 Stainless Steel Construction Motor to suit operation with Water Jetting Pump. 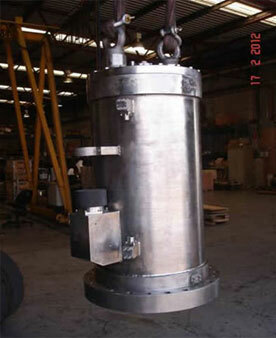 SDE/SME ROV14, 200kW, 3000V, 4-Pole, 1750rpm, 60 Hz, Anodised Aluminium Construction Subsea Motor to Drive Hydraulic Pump. This pump is suitable for driving hydraulic pumps as part of a large scale HPU. 2 pole variants for driving water pumps are also available. 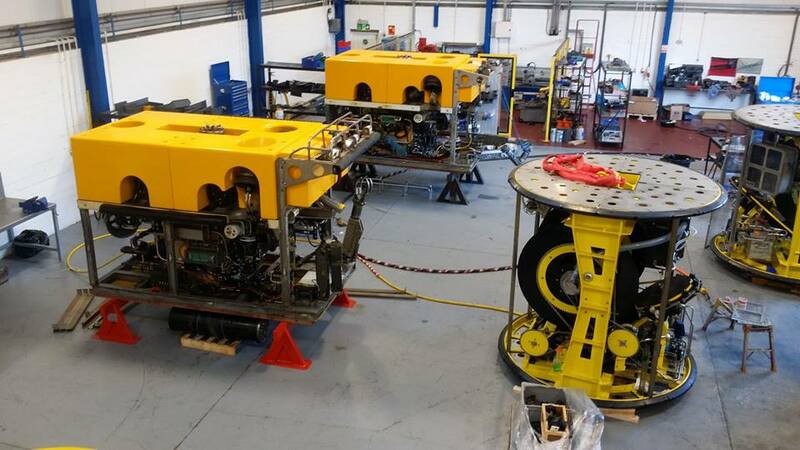 ROV14, 250kW / 335Hp, 4-Pole, 1800rpm, 60Hz, Anodised Aluminium Construction Subsea Motor. 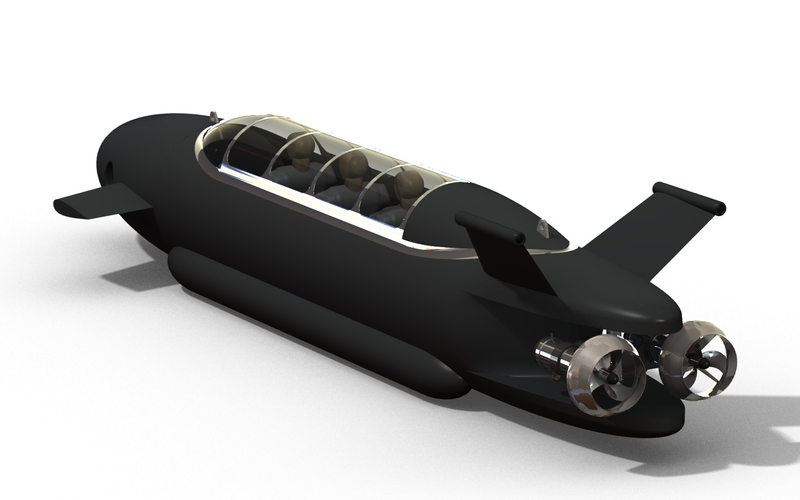 Designed for an for a new build Underwater Vehicle, to be mounted with hydraulic pumps. SDE/SME 200 KW, Volts 3000V, 60HZ, 4 Pole, 1750 RPM, SS316 Construction Subsea electrical Motor. Comes with (optional) Burton Power Connector. Sensor Connector Subconn. Can be close coupled with a Rexroth Pump A4VSO 250 DR or any other comparable hydraulic pump. 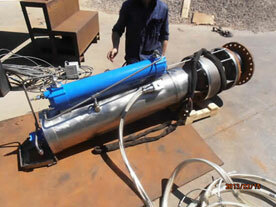 SDE/SME 10 inch, 10HP, 4 Pole, 400/3/50, SS316 Construction Submersible Motor. 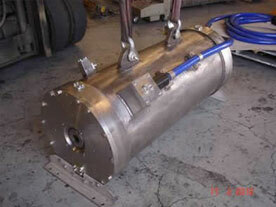 A 4- Pole Down Hole Low RPM motor for submersible pumping applications. SDE/SME ROV12-6, 50kW, 380-440/3/50, SS316 Construction Subsea electrical Motor. 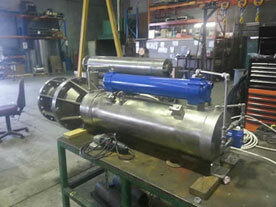 A 6” submersible motor for use for subsea pumping applications. SDE/SME 36-inch 2200kW, 6600V, 6-Pole, 1180RPM, 3Ph, 60Hz Super Duplex construction. 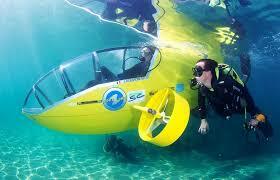 Submersible Motor. Suitable for fire water pump drive units. We have many more motor / pump combinations and variations available. 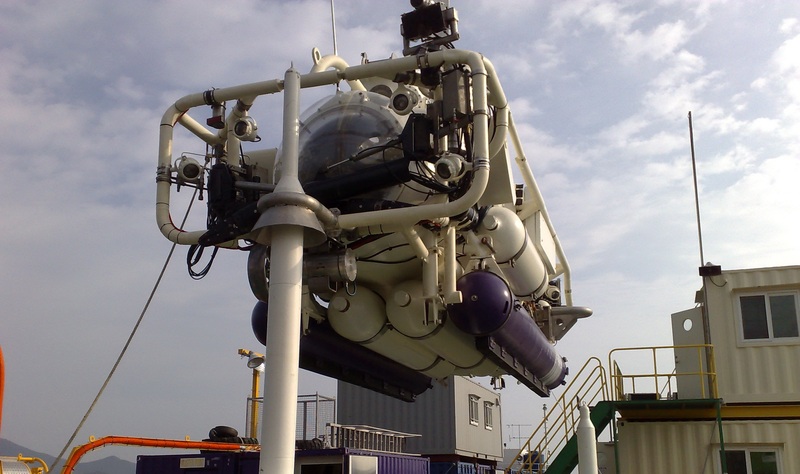 Bespoke designed combinations are possible for any application subsea. 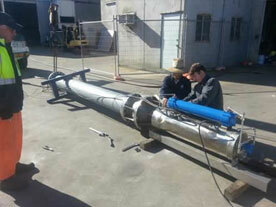 SDE/SME 300Kw, 6600vac, 4-pole Subsea Motor. 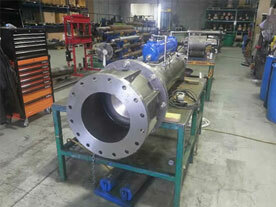 SDE/SME 400Kw, 6600vac, 4-Pole HPU Subsea Motor.